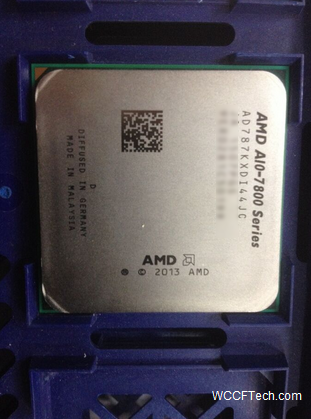 AMD’s upcoming Godavari flagship the A10-7870K APU was has been spotted – complete with the JC stepping and all. 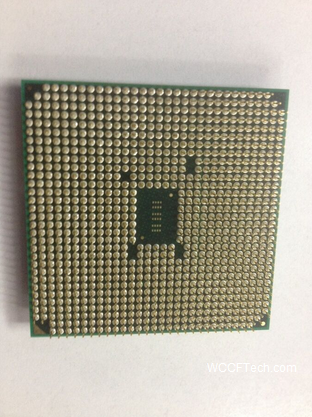 Many retailers have listed this APU, from which we can deduce the MSRP to be at around $149 dollars – which is a bit more than the A10-7850K APU currently in the market. They will be available by the 28th of May according to latest reports. 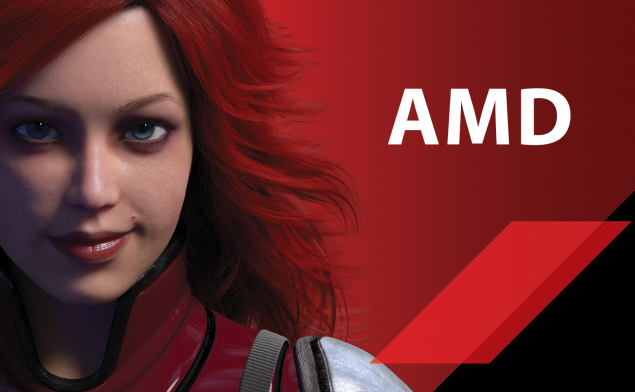 Okay, so one of the most confusing things about AMD’s current lineup is their nomenclature – something that has literally turned topsy turvy after the Carrizo launch this month. I think its time for a dedicated paragraph that clarifies the mess. Basically, the confusion arrives from two things: the many pronged nature of the Kaveri Refresh Platform (aka Godavari) and the use of 7000 series nomenclature in the Carrizo-L lineup. Lets start with Kaveri Refresh Platform first. Basically, it consists of three parts in total. The first wave of Godavari consists of a price drop for the Kaveri we know and love. You can read about the launch of the Kaveri Refresh Platform here. Technically, Godavari APUs launched on the 10th of May; with the second wave reportedly coming by the 28th. Now this is where it gets a bit confusing, there are also two SKUs coming which will form the flagship Godavari (for consumer side) – namely the A10-7870K and the A10-7670K. These can be called the ‘real’ Godavari since they will offer the newer JC stepping – a better revision of architecture for higher efficiency and clocks. Specs wise, they will be the same as Kaveri. Finally, you have the OEM Godavari offering which will be branded under the 8000 series nomenclature. Now the stepping details are a tiny bit hazy about the 8000 series but here’s what we know for sure. It will have atleast one SKU with the newer stepping (the A10-8850B Godavari Flagship APU) while the rest will probably be ‘old’ Kaveri rebrands. The use of 8000 nomenclature here is unfortunate because the Carrizo-L lineup (which is architecturally superior to Kaveri and Godavari in every way) was branded as 7000 series mobility APUs – something that makes very little sense from a nomenclature standpoint. Anyways, with that out of the way here are some exclusive pictures of the ‘real’ Godavari flagship and the OEM only offering. The part numbers of the APUs are AD787KXDI44JC and AD885BXBI44JC respectively. I have taken the liberty to scrub any identifying information to protect the identity of our source. The JC suffix at the end signifies the new stepping while as the ‘B’ following the ‘885’ signifies the OEM only nature of the SKU. Both APUs will support the FM2+ socket and are thought to have 95W TDP. 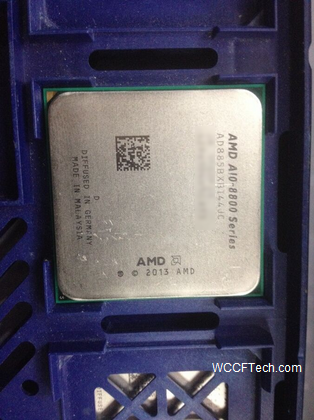 Both APUs are the literal flagship Godavari and motherboard vendors have already listed support of these SKUs.